All, The following changes have been made in the CiA server mod set. 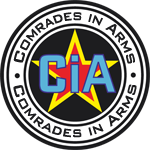 Arma3Sync and PwS CiA profiles are updated. See this post for download links. 1. Removed: AiA Terrain Pack .